Turrets. Battlements. Roses climbing a rustic stone staircase. Sounds like some sort of fairy tale fantasy doesn't it? But such a place exists, right here in central London. 11 acres of gardens complete with rosebushes, cultivated lawns and weaving paths — oh, and an elegant palace as a backdrop. 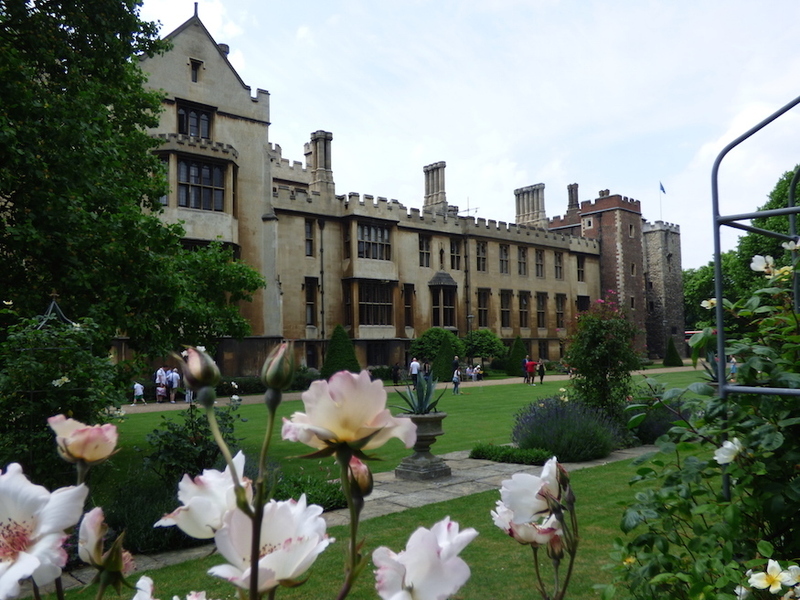 The gardens belong to Lambeth Palace — London residence of the Archbishop of Canterbury — and are only open to the public occasionally. They lay claim to being the longest continually cultivated gardens in London, and are either the second or third largest private gardens in central London, depending on who you're talking to (Buckingham Palace is the biggest. 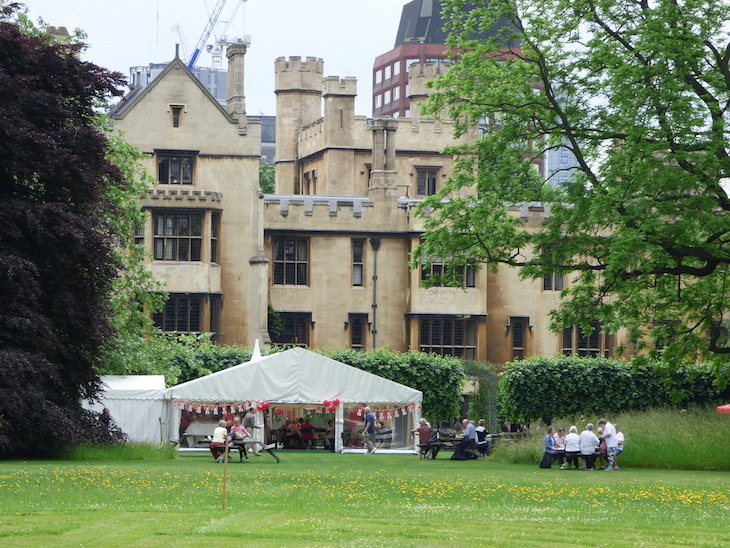 Lambeth Palace jostles with the home of the American Ambassador in Regent's Park for second place). 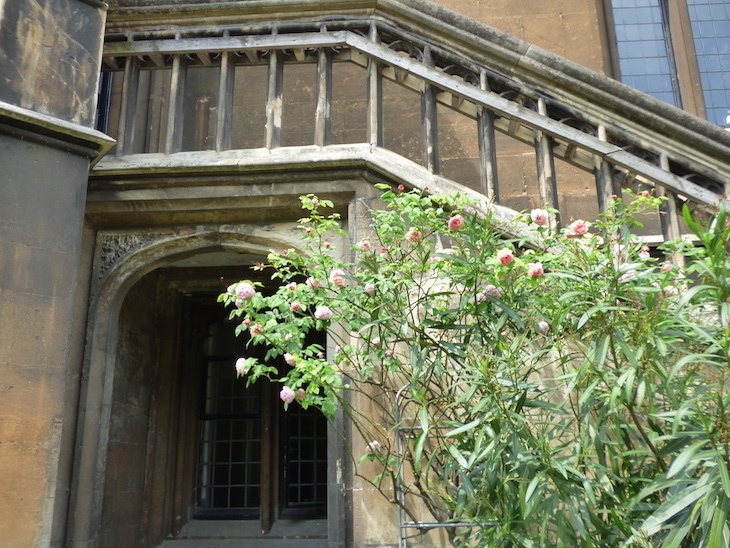 Entering the gardens through the Tudor gatehouse is a rather grand way to start. Round to the right, a second arch opens up to the courtyard, a sweeping gravel driveway surrounded by elegantly mismatched buildings. The Palace has been through a rather turbulent history, involving many buildings being destroyed and rebuilt at various times, so none of them match architecturally — but it's all part of the charm. Cars are parked in the courtyard today, but it's not hard to imagine horse-drawn carriages pulling up outside the palace in years gone by. 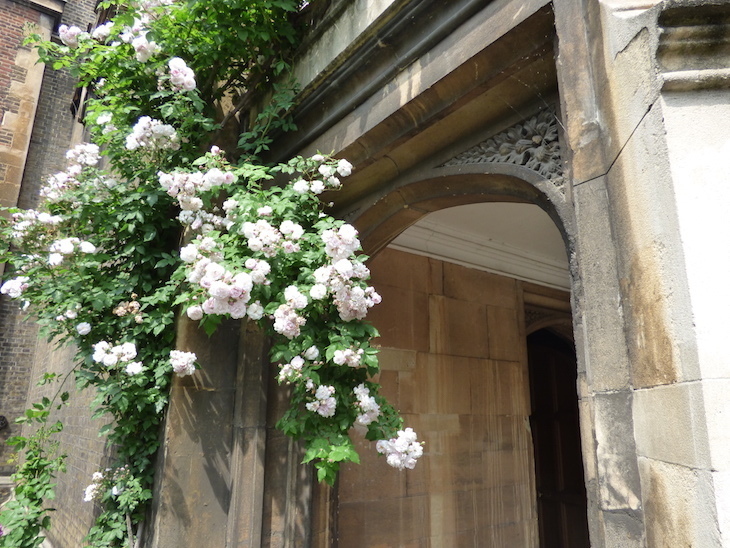 Head for the diagonally opposite side of the courtyard, and slip through the wisteria-framed arch down the side of the main palace building. As an entrance, it feels somewhat clandestine, but you'll know you're in the right place. On a small lawn, volunteers have set up a stall selling plants and honey, but their good work is overshadowed by the surroundings — including that rose-clad stone staircase. 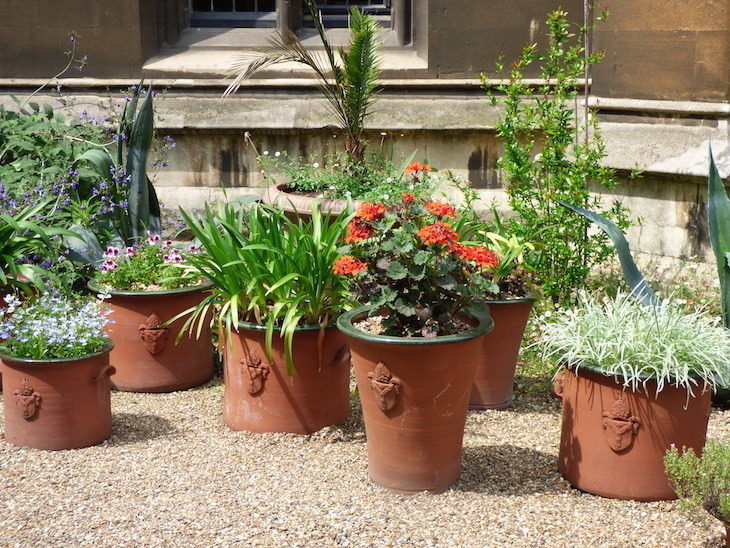 Tear yourself away from it and head round to the main garden, behind the palace. A carefully-manicured lawn runs the length of the building, populated with croquet players. 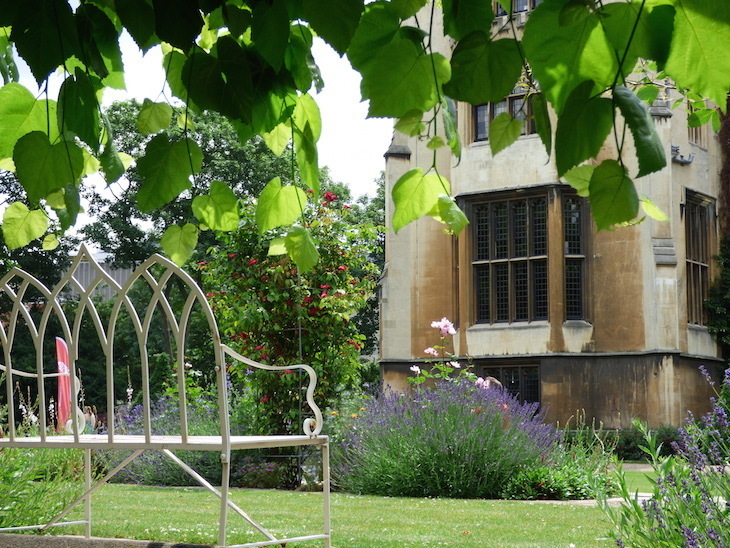 Beyond that, an upper terrace is adorned with trellises, rose bushes and decorative metal benches. Lavender, roses, sweet peas, and all manner of other plants that our horticulturally-challenged eyes can't identify add splashes of colour to the bucolic scene. 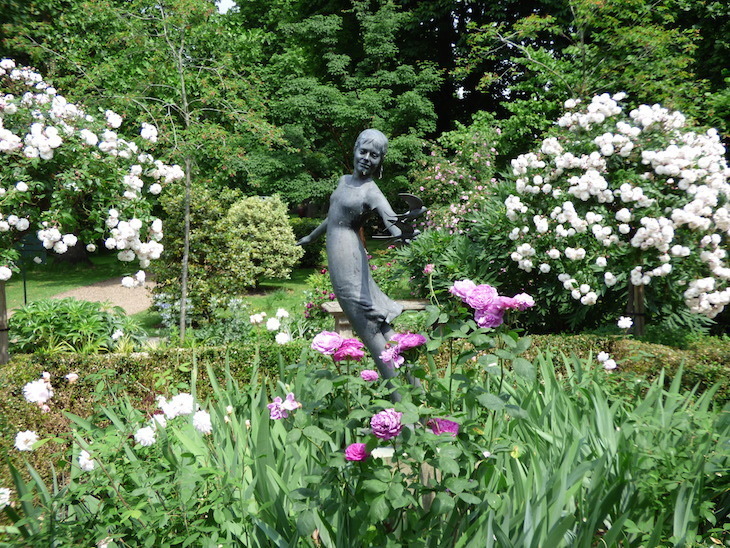 At one end, a statue surrounded by roses is the focal point. It's only then that we notice — the garden goes back much further. What initially appears to be a large (immaculately kept) field, bordered by a gravel path and some herbaceous borders gives way to many surprises. Gaps in the hedges reveal more, leading to various coniferous corridors. We find them all to be worth following (and would advise you to do the same) except the one that leads to the compost heap — and by that point, we're so enchanted, it may well be the best compost heap we've ever seen. 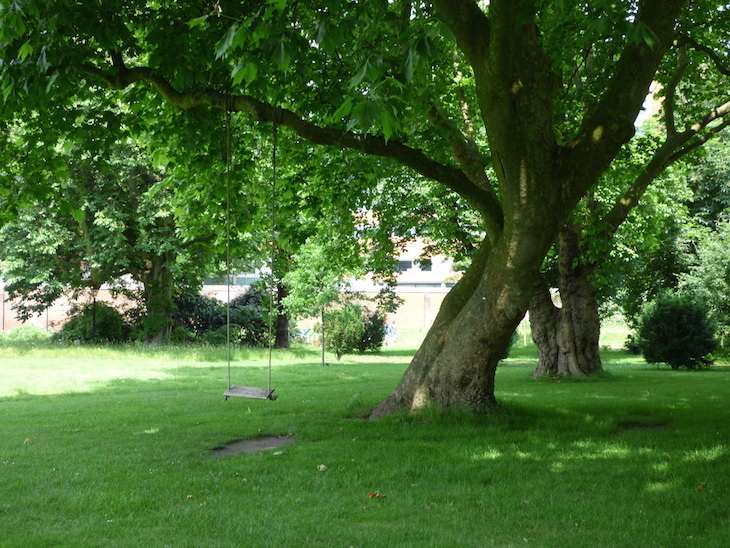 The swing is treat enough to awaken anyone's inner child, dangling tantalisingly from an aged tree, but what lies beyond it is even more charming. 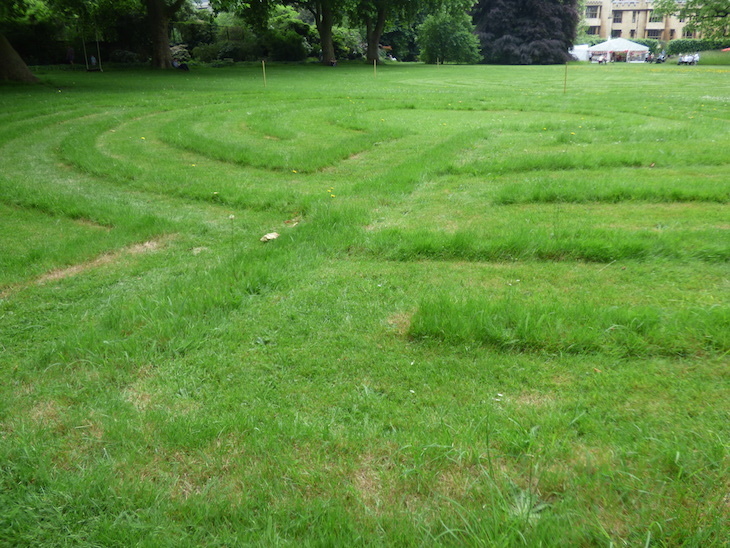 A rudimentary maze is laid out in front of us; only visible from certain angles, its grass walls are mere centimetres taller than lawn that surrounds it. Whether it's intentionally subtle, or a new project that's (literally) getting off the ground, is unclear, but it's amusing plenty of adults on our visit. Planes whizz overhead on the Heathrow run, interrupted by the occasional helicopter from the Battersea Helipad nearby. The top deck of double decker buses glide past above the 7ft high brick walls that encircle the idyllic gardens. 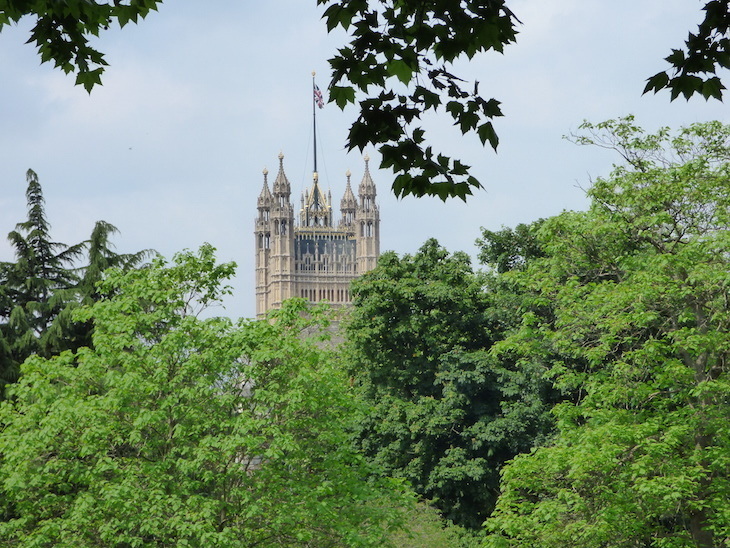 The Palace of Westminster peeps in above the tallest of the trees, not wanting to miss out on the fun. The gardens are littered with benches; stone, wooden, metal — all shapes, sizes and ages. Some are in plain sight, others are hidden away in secret corners. All are inviting, taken up with visitors eating their lunch, or simply pausing to take it all in. 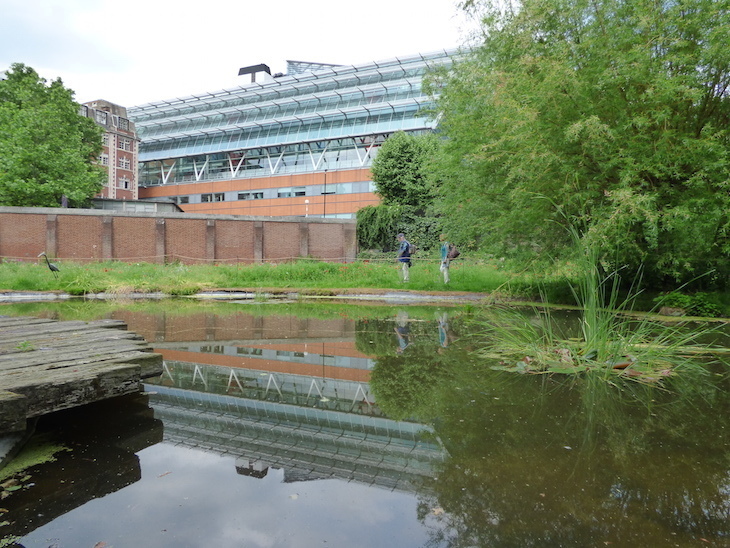 You could almost imagine yourself picking up a parasol and taking a turn around the gardens in a Jane Austen novel if it weren't for the modern backdrop of the Evelina Children's Hospital. 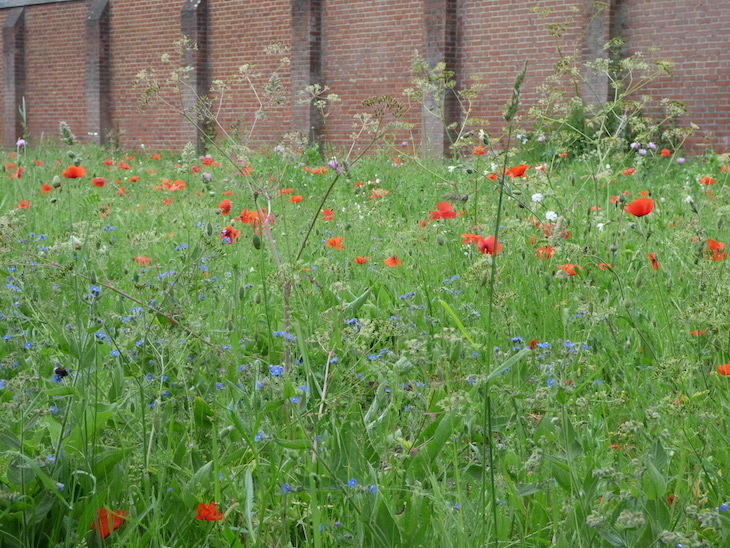 If you're the sort of person who goes weak at the knees for a wildflower meadow (no? just us? 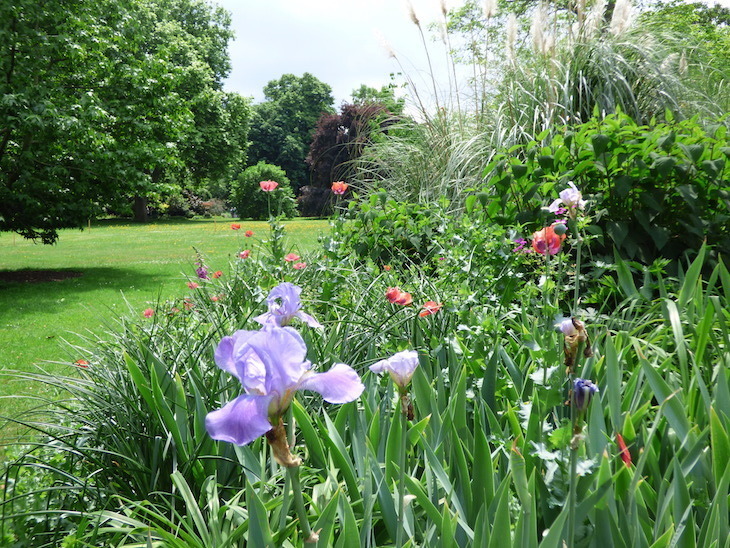 ), head beyond the pond to see poppies, tulips and daisies swaying in the breeze, the red and pinks providing a bit of colour to the grassy expanse. Suddenly, the honey being sold at the entrance makes sense. 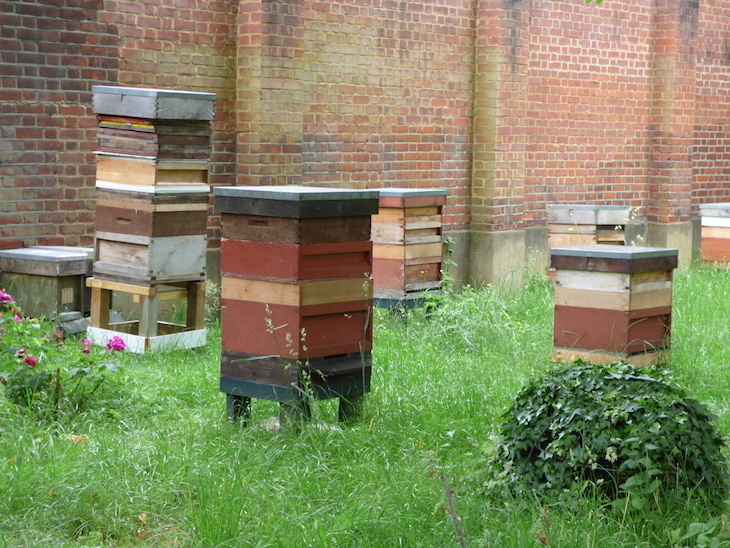 Just the other side of the wall from the roar of Lambeth Palace Road, the overwhelming sound is the buzz of bees as they go about their business among these rustic hives. Looking back towards the southern end of the garden, there's a garden party atmosphere going on. A marquee sells refreshments to support this month's charity — Christian Aid — while a musician provides a gentle acoustic soundtrack. Those croquet players are still at it beyond the hedge too. Just when we think we've seen everything, the trees part and a stone pagoda reveals itself, long grass up to its knees, tree fronds across its face like a wayward child, cast out from the mismatched architecture of the main building. 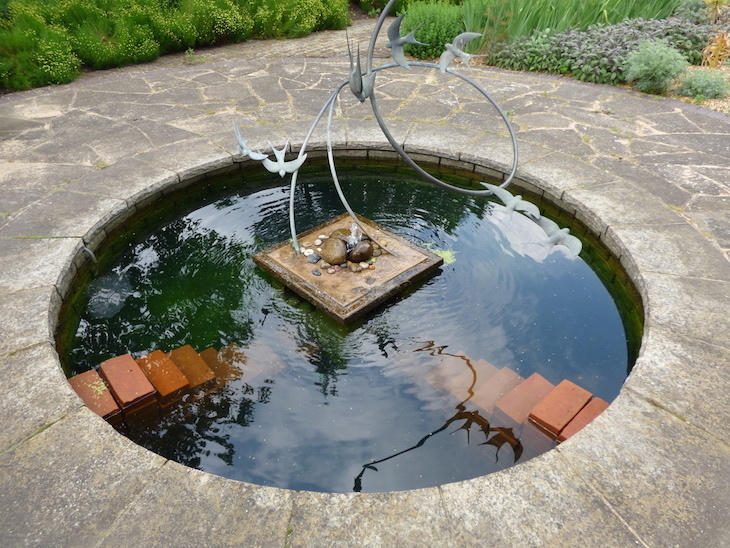 The gardens reveal one final surprise; a small, round pond embedded into the ground. A nice touch, more decorative than functional if its size is anything to go by — but those brick steps suggest that something lives in these waters, at least part of the time. Frogs? Ducks? Who knows. They're doing a good job of staying hidden today. 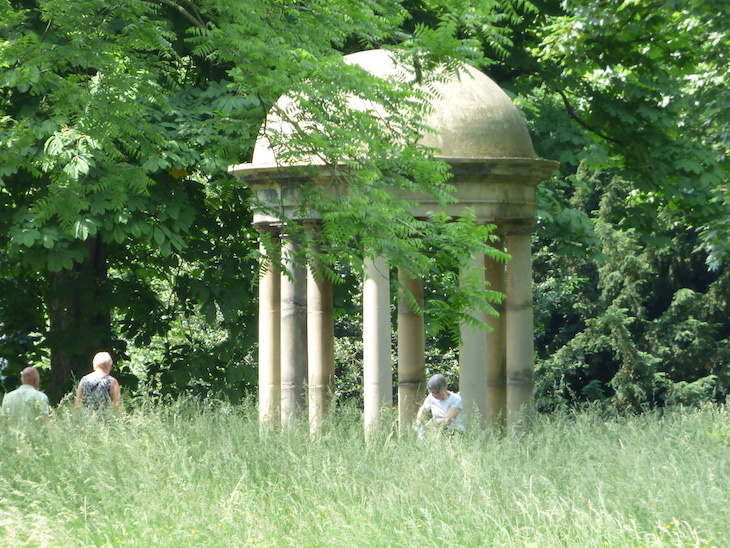 It's not just the gardens that open to the public. 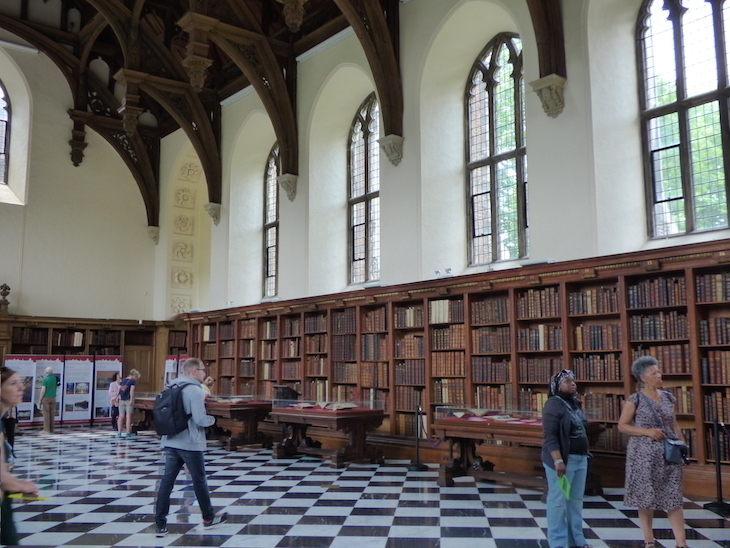 The impressive Great Hall, which houses Lambeth Palace's Library, throws open its doors too. Bibliophiles will love it; three walls lined with leather bound tomes, set in regal, wooden bookcases that look as if they've always been there — and yes, plenty of that 'old book' smell. It's not bad architecture either, all high ceilings and elaborate windows. 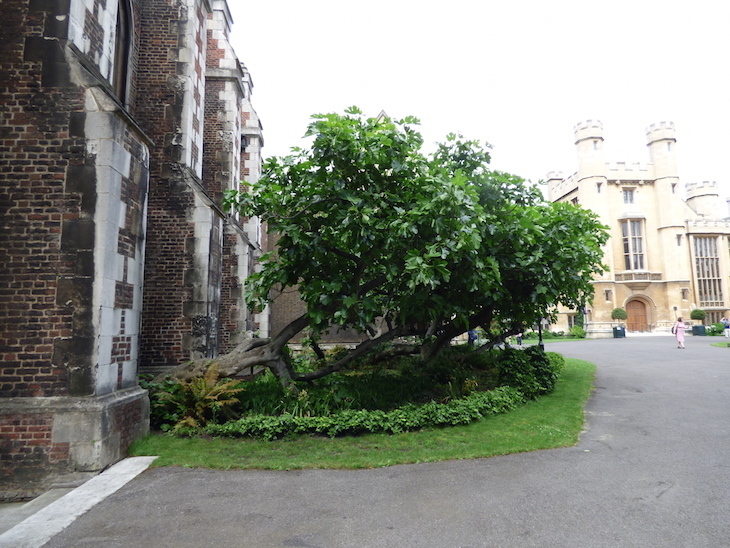 Make sure you pay your respects to the fig tree on the way out. 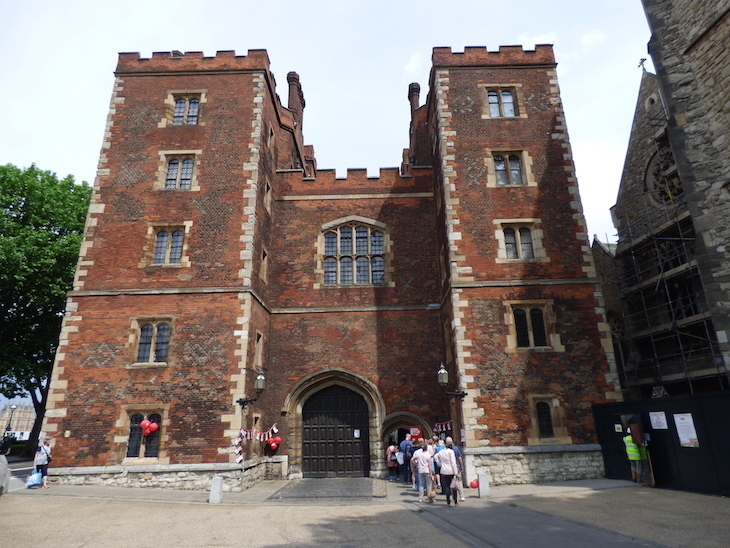 It's an impressive 500 years old, and was uprooted and moved to its current position at the tender age of 300. The team of gardeners trim it every five years — in the picture below, it's two years since its last cut. We're promised it'll be almost the size of the building next to it in three years time. 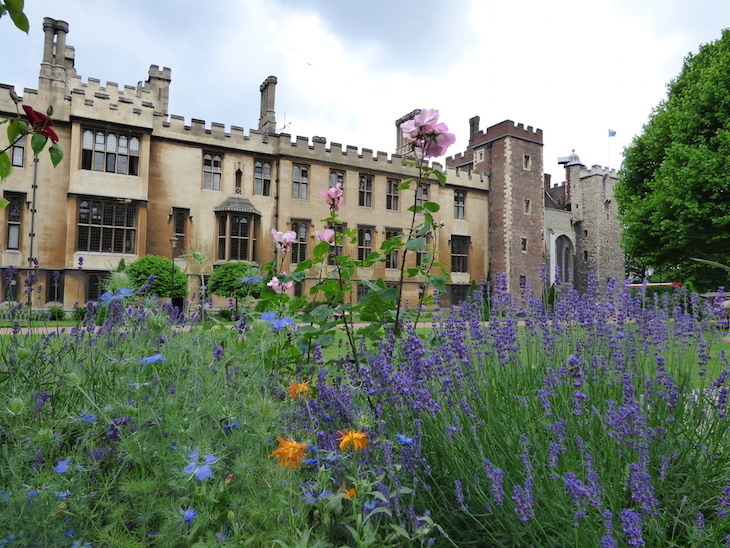 Lambeth Palace Gardens are open to the public on the first Friday of the month, April-September, 12pm-3pm. Entry is £5, which goes to charity. Find out more here. Is this the most peaceful spot in Bloomsbury?